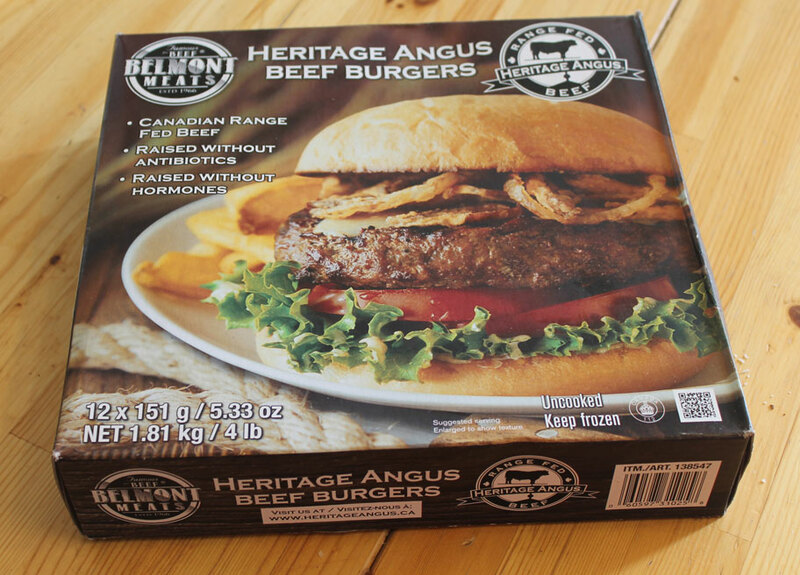 In Canada, if beef is “Rangefed”, that means it is grass-fed – litterally, it is free-range on grass… That means that the burgers we have been buying from Costco are actually grass-fed beef! OK so according to the website on the box they are not 100% grassfed as they are finished with a minimal amount of organic grains, but I can cope with a little grain finishing if it is organic. They are also hormone and antibiotic free, and the ingredients are pretty good too – beef, salt, spices is all that it listed. It didn’t state exactly what the spices were though, so they may not be AIP friendly as they may contain some seed or nightshade spices. I was prepared to risk that though as the amounts would be small. So what did I do with these wonderful burgers? I cooked them in a cast-iron skillet and sat them on top of an oven roasted portobello mushroom that had caramelized mushrooms piled inside of it, then topped them with a big spoonful of homemade guacamole. I served this with a spoonful of homemade sauerkraut (with added carrots) and some root vegetable fries. 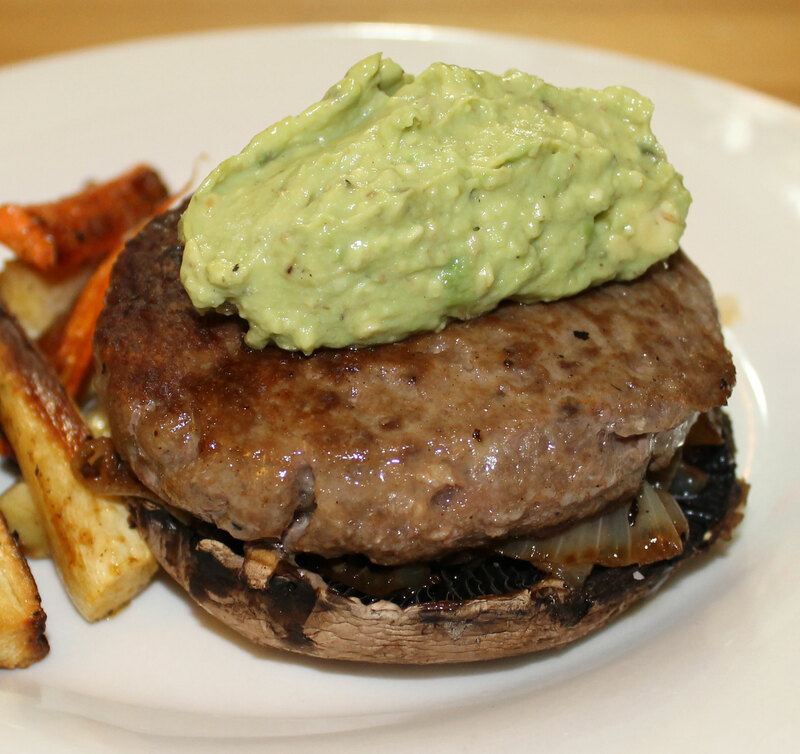 This recipe is paleo, and if you use a burger that you are sure contains no nightshade or seed spices (maybe a homemade one?) this would also be AIP friendly. The first thing you need to do is to get the onions caramelizing as they take the longest. Melt the fat in a large, heavy skillet and add the sliced onions. Season them with salt, pepper and add the thyme. Cook them slowly over a medium-low heat until they are soft and golden brown – this could take anything from 10 minutes up to half an hour or even longer. Don’t be tempted to turn up the heat to speed them up – you want them to be golden brown, not burned. Right at the end of the cooking period, add the balsamic vinegar. While the onions are cooking, preheat the oven to 190°C/375°F. Next take the mushrooms and cut out the stalks leaving the cap intact (I added the stalks to my pot of chicken bone broth that was simmering in the slow cooker – waste not want not!). Lay the mushroom caps out on a baking sheet gill-side up. Drizzle the mushrooms with olive oil and season with salt and pepper. Place the baking tray in the preheated oven and cook the mushrooms for 15 minutes until hot and tender but not mushy. Next you need to cook your burgers. I did this in a large cast-iron skillet following the instructions on the packet which said to cook for 5-6 minutes per side. Because there was not enough room to cook all the burgers at the same time, I did them in 2 batches of 3, keeping the first batch warm in the oven while I cooked the second one. Place the mushroom cap on a plate, gill-side up. Top this with a generous amount of the caramelized onions. 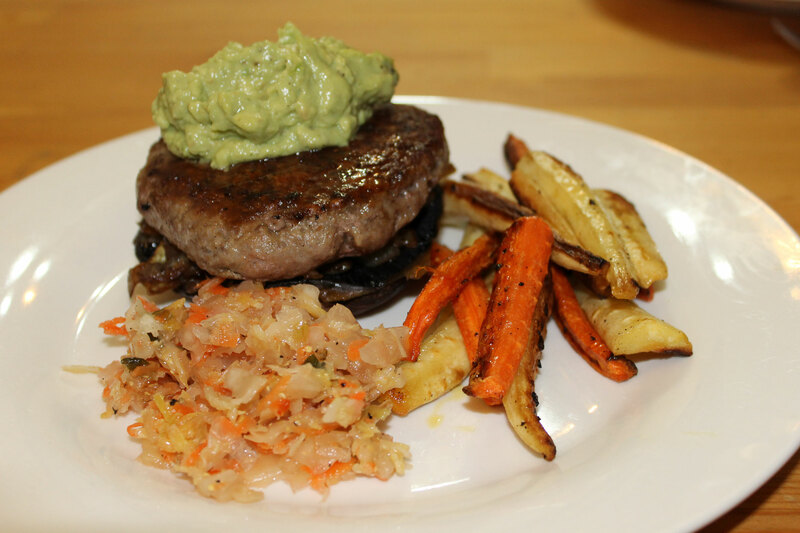 Now sit the burger on top and top with a generous spoonful of guacamole. 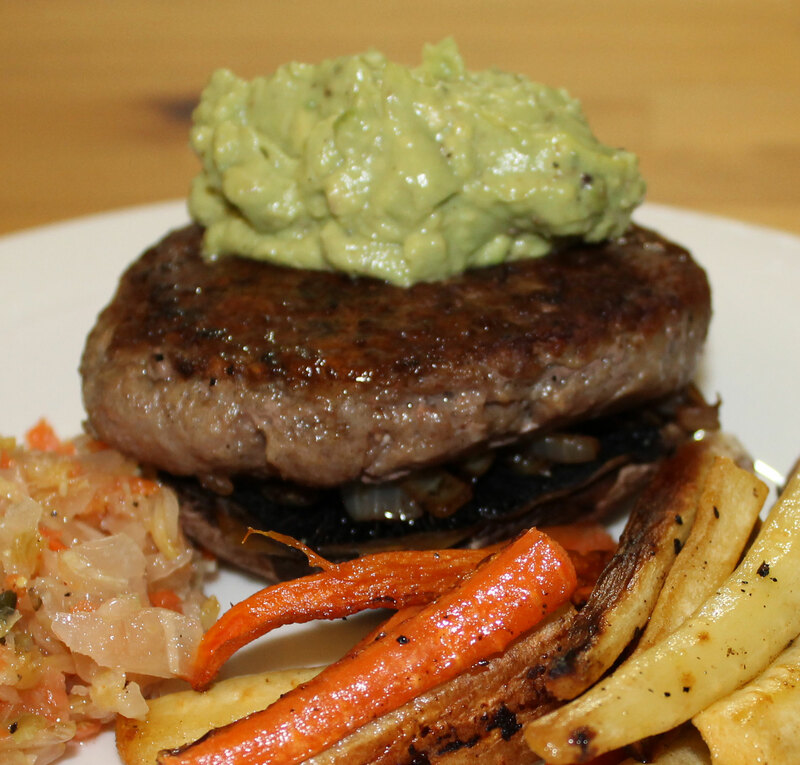 I served these burgers with parsnip and carrot fries and a spoonful of some homemade sauerkraut that had added carrots. 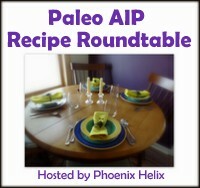 This entry was posted in Paleo Autoimmune Protocol, Recipes and tagged AIP freindly, dairy-free, gluten-free, grain-free, grassfed beef, paleo, primal. Bookmark the permalink.